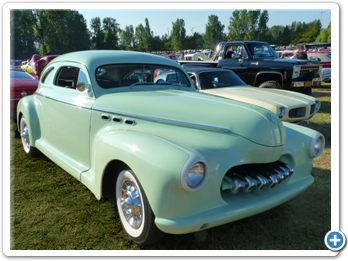 Jeffries’ car is difficult to identify because it isn’t a customized Ford or Chevy, but a pre-war Buick. 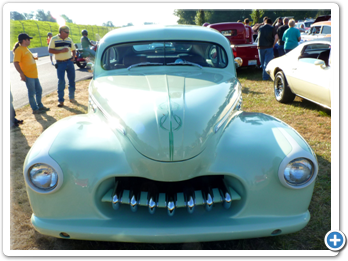 Add the chopped top and the 1955 DeSoto grill and, for many, its year and make become a mystery. 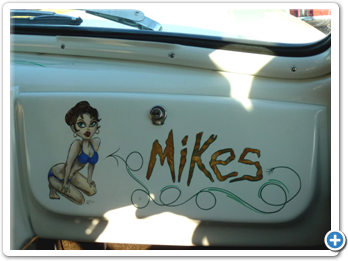 In 1992 Mike was looking for a car and found this one. 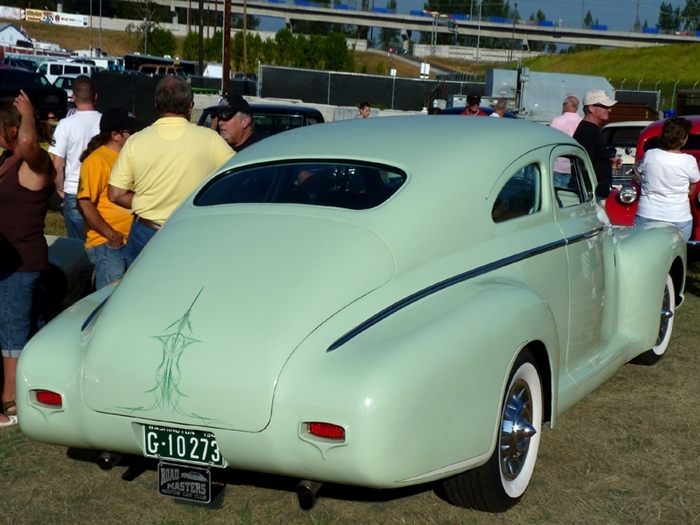 At the time he didn’t know what a 1941 Buick looked like. 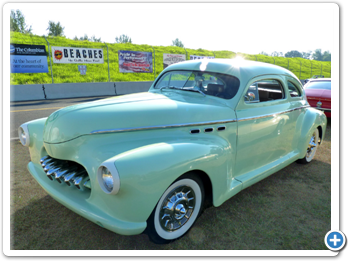 “I was walking with my buddy Robert Stevenson and said, ‘Robert, come back here, what’s this?’ Neither one of us knew what a ‘41 Buick looked like so we went into one of the buildings and found a book with a picture. Then we went to the see the car. It was a complete basket case and Robert said, ‘Mike this is you!’ I wanted something different, and that’s why I bought it. Restoring with a friend can turn into a battle of wills, but Mike let Robert take the lead and was glad he did. 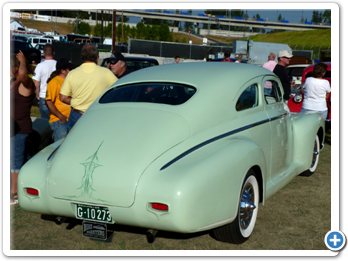 Mike had the car running in 2003 with just a coat of primer, but the “rebuilt” 455 engine had problems so he switched to a Chevy 350 with a 700R4 automatic transmission. The car rides on a Plymouth Volare torsion-bar subframe and a 12 bolt Chevy rear end with 3.73 gears. Now it’s a pleasure to drive. 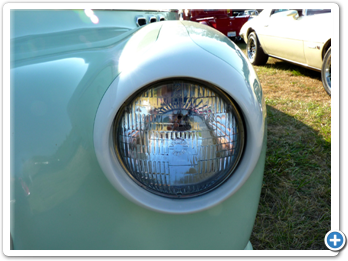 Although the car has been on the road for years, it looks brand new--the paint and upholstery are only a year old. This book is an authoritative, intimately fascinating story superbly told by two of the most respected automotive historians, each having devoted more than a decade to researching, interviewing, documenting, and recording one of the great sagas of our time. 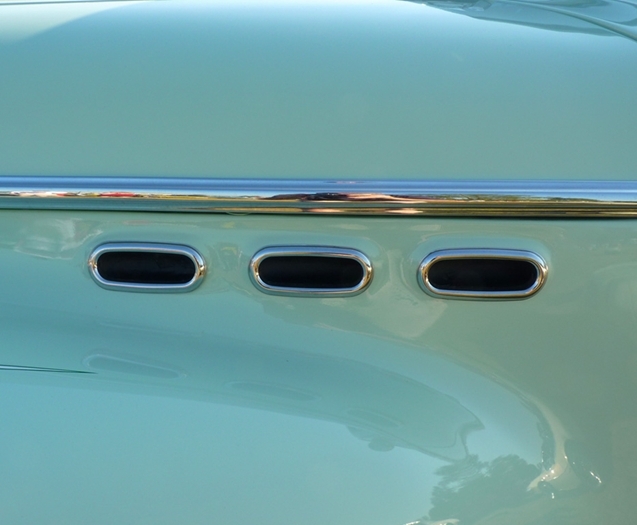 There are first-hand impressions of the men who were there when the first Buicks were built, and recollections of engineers, designers, and executives who have been there in all the years since, as the Buick moved from one era to the next. Accompanying the text are more than 1,000 historical photographs, drawn from historical societies, library archives, museums, and private collections throughout the world, many never before published. 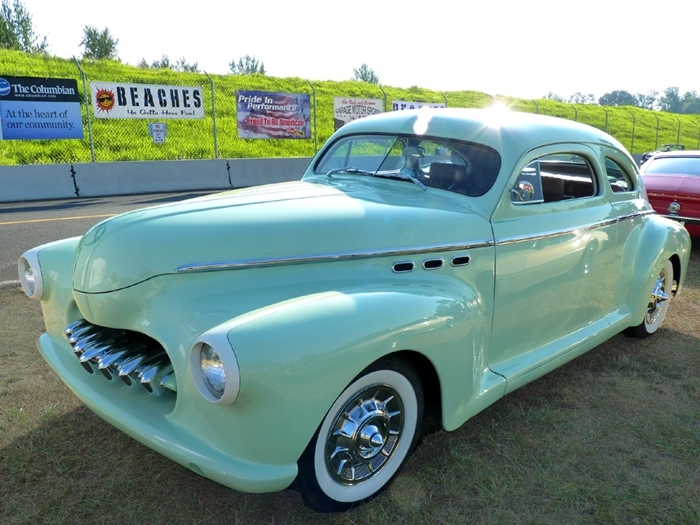 Celebrate 100 years of Buick history with this wonderful reference, including 20,000 model and price listings. 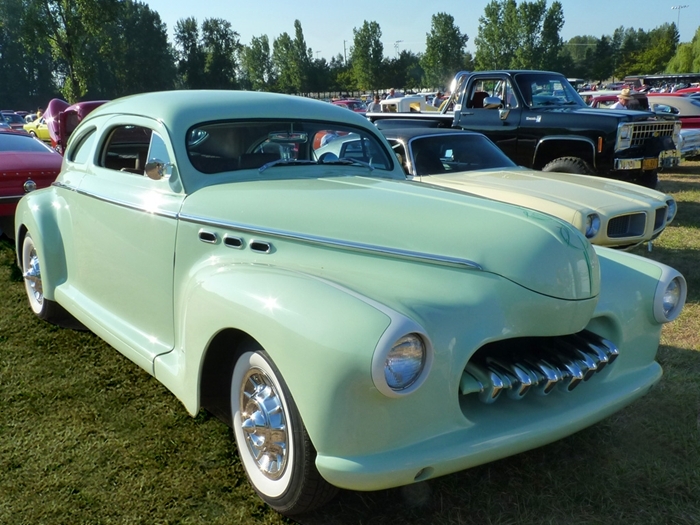 Owners of all types of Buicks and anyone with an interest in the cars will enjoy this comprehensive listing of every Buick ever built, with all new information on models from 2001-2004 now included. 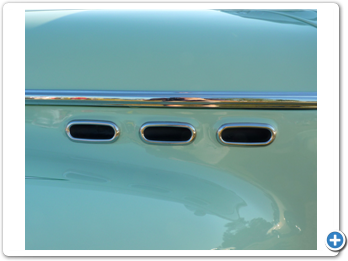 Coverage spans all models, including Marquette, Special, Roadmaster, Century, LeSabre, Skylark, Grand National and more. 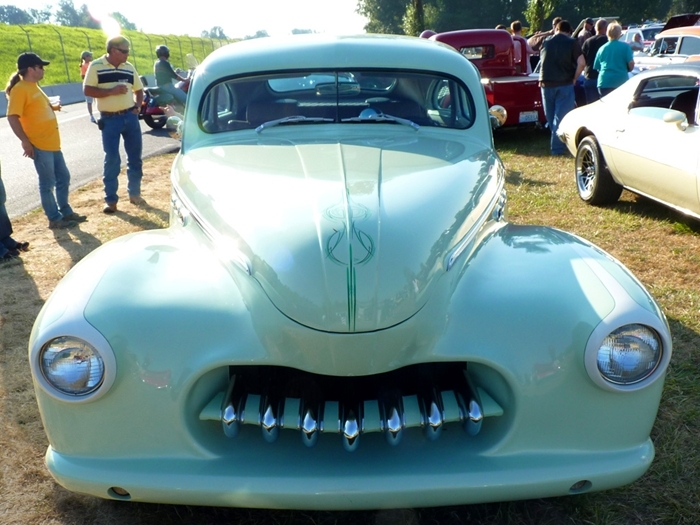 Listings for each year of each model provide vehicle description, serial numbers, original price and weight, technical specifications, production data, engine details, historical facts,VIN information and more. Pricing information is available for all collector models from 1904-1996, in six condition grades. This is a Factory Authorized Reproduction of the 1929-41 Buick Parts List Catalog. It includes labeled blown up “exploded views” of the parts, showing what they look like and how they fit together with their adjacent parts. 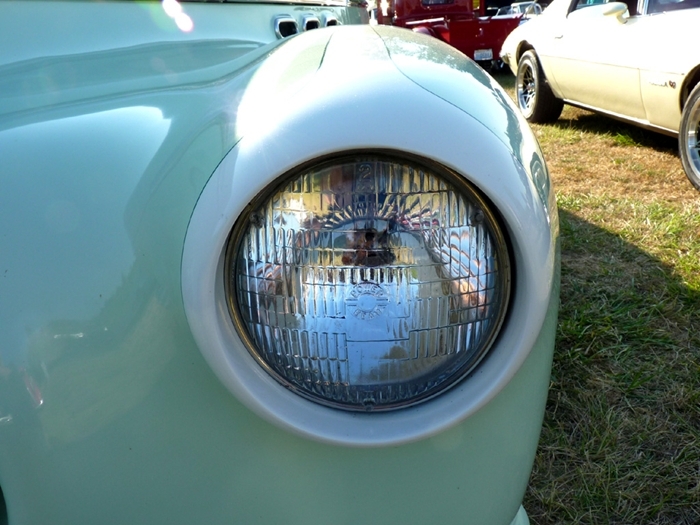 All models are covered--body and chassis. Approximately 800 pages. This Factory Authorized Reproduction provides information on diagnosis, service procedures, adjustments & specifications. There is none better. Loaded with diagrams and illustrations to help you disassemble, repair and reassemble various components. Approximately 300 pages. Includes Wiring diagrams. This diagram covers the complete basic vehicle: interior and exterior lights, engine compartment, under dash, etc. Colors are the same as what is in your car. All text is crystal clear and easy to read. The diagram is laminated in rigid plastic for years of use.